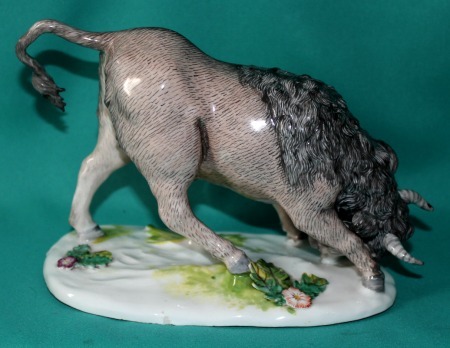 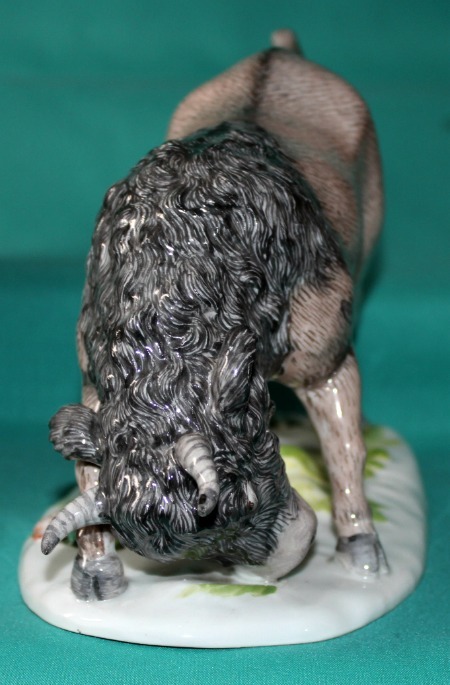 A rare Furstenberg Porcelain Buffalo c.1755, naturalistically modelled with his head lowered and horns raised in aggressive stance, on a grassy oval mound base applied with flowerheads and leaves. 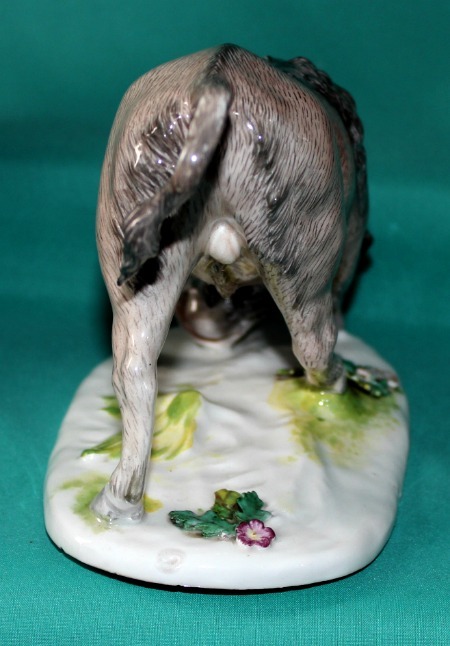 Dimensions: 12.5 cm high. 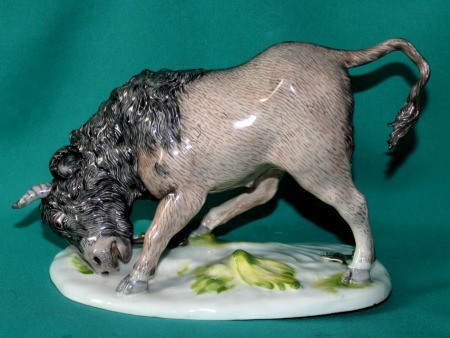 Condition: tiny nibbles on the base and two leaves. 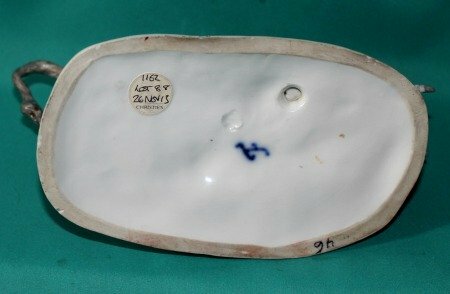 Marks: Underglaze blue skript "F" mark on the base. 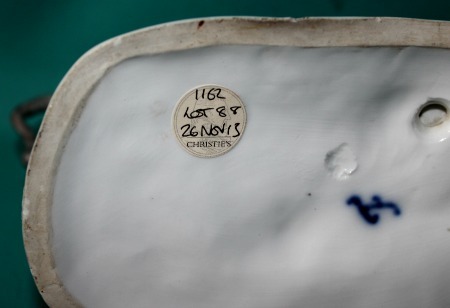 * Provenance: Original paper label from Christie's sale 1162, lot 88.